The 2018 Winter Olympics Games will be taking place from the 9th till the 25th of February in Pyeongchang, South Korea, where temperatures are set to drop to -11 degrees celsius in the first weekend. 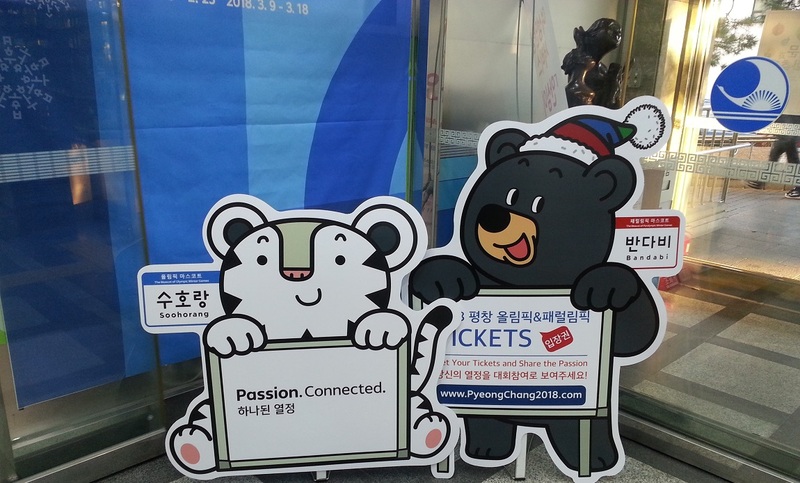 However, the slopes and rinks of South Korea are set to be on fire as athletes battle it out for pride and for country. And this yearâ€™s Olympics will no doubt be special as there are many athletes from the African continent who will be representing at the Games. The Nigerian Women’s Bobsled & Skeleton team is in town as they are unveiled by Star as brand ambassadors. Nigeriaâ€™s Seun Adigun, Ngozi Onwumere and Akuoma Omeoga made history by being the first bobsled team from the African continent to qualify for the Winter Olympics. The Nigerian sleigh queens have been winning ever since they qualified for the Games in 2017 and a starting pistol has yet to be fired. We can only hope that they continue their success at the Games and take home the gold. The trio who hold dual American and Nigerian citizenship said they wanted to represent Nigeria and bring the sport of bobsled to the country. They said itâ€™s important for them to represent Nigeria in a sport which the country has not been represented in before. Having made an appearance on the Ellen Show and a Beats by Dr Dre advert and being fortunate enough to count Serena Williams as one of their fans, the trioâ€™s star has been on the rise. The team faces a lot of pressure to bring home the continentâ€™s first gold medal. Somehow though if they donâ€™t win it wonâ€™t even matter, because the impact they have had on Nigeria and bobsledding on the continent is immeasurable. South Africa will be fielding one athlete at the games. Connor Wilson will be representing Team SA in the Alpine Skiing slalom/giant slalom.Â Figure skater sisters Tamarah and Chelsea Jacobs from Essenwood will be attending the games as official torch bearers, the only South Africans to be invited to carry the Olympic Torch.Â However, the chance to be the first black South African skier at the Games was denied to Sive Speelman.Â Speelman will be heading to Korea but unfortunately not to participate. He will have to be the technical assistant to Wilson. South Africa was only given one place in the Alpine skiing slot and because Wilson had a higher world ranking, he was given the spot. However, Speelman said while heâ€™s disappointed to be missing out one participating, he was at least being given the opportunity to go to the Games. Born in Nigeria, grew up in the USA and currently staying in Johannesburg, Simidele Adeagbo has had an interesting journey to becoming to first Nigerian skeleton athlete. Formerly a track star, Adeagbo will be representing Team Nigeria in the skeleton event. Skeleton is when an athlete rides (stomach-down) a skeleton sled on a frozen track at high speeds. Adeagbo began training as a skeleton athlete after reading about the bobsled team and after getting in touch with the trio began training last year for the sport. Just like the bobsled, Adeagbo said while most peopleâ€™s first reactions to her taking part have been confusion about what skeleton actually is, there has been a lot of support from home. These Games also present a chance for one of these athletes representing to bring home the continentâ€™s first Winter Games medal. Despite athletes from the continent participating in the games since 1984, no African country has won a medal.Â The continent was first represented at the 1984 Winter Olympics in Sarajevo by Senegalese alpine skier Lamine Gueye. So while these athletes are making history already, many people from the African continent especially the countries being represented will likely be hoping that they bring home the gold as well. From The Daily Vox team, we wish them all good luck! Wow! that’s great. i would say these women are true Nigerians.